Call us at 773/327-6100 to check the current availability of these rental units, or click here for a rental application! This property is made up of two colonial style buildings totaling 45,000 square feet of retail and office space. The mix of tenants includes well known Chicago area retailers, neighborhood institutions, a bank and medical professionals. 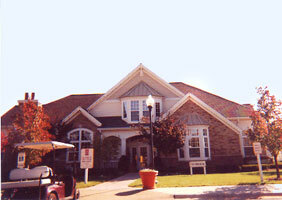 Located adjacent to our own Sherry Apartments, this property was acquired in February 2006. This property consists of 22,000 square feet, made up of nine medical and legal professional suites. Constructed in 1971, a large addition was made to the building in 2004. 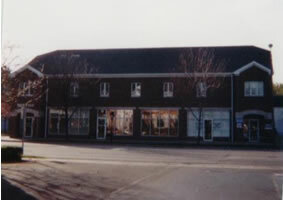 Situated on an important commercial street in the desirable suburb of Elmhurst, the property was acquired in April, 2005. This beautifully constructed, 27,000 square foot building is made up of 14 medical office tenants. Constructed in 1981 and located in the historic and prestigious community of Long Grove, the Grove Medical Building recently went through a significant renovation. Acquired August 2004. This property features 84 units, comprised of 1 bedroom and studio apartments in East Lakeview. This building also features underground parking. Convenient to public transportation and just a block away from the lakefront. Acquired in 1993. This property features 41 studio and 1 bedroom apartments and eight commercial spaces -- just a block away from I-94 and public transportation in the Old Irving Park neighborhood. Acquired in 1991 and completely renovated in 1995. 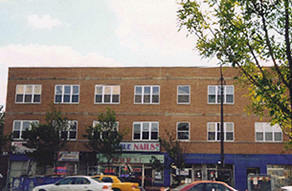 This property consists of 6 commercial spaces located near the elegant downtown of north suburban Glenview. Waukwood Center, acquired in 2001, houses medical professional and retail establishments and has a parking lot behind the property. 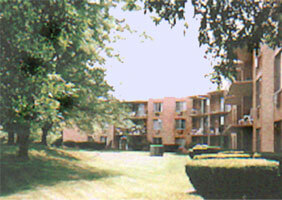 Comprised of two 36-unit apartment buildings in a pastoral setting in north suburban Mundelein. There are 48 one-bedroom units, 24 two-bedroom units and approximately 150 parking spaces. 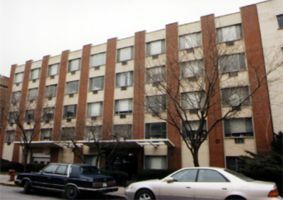 Heritage Green Apartments was acquired in 2002. Situated on 23 acres, this property features a 367-unit apartment complex in Schaumburg, the second busiest commercial and retail center in Illinois. Comprised of seven buildings, each with one, two and three-bedroom, fully appointed apartments. Amenities include an outdoor swimming pool and deck, a tennis court, a sand volleyball court, a children's playground, a cascading waterfall and a 6000 square foot, resort style clubhouse featuring a racquetball court, billiard room, exercise facilities and a party room. Acquired in 2002. Situated on 10 acres, this property features a three-building apartment complex made up of 164 units located just west of Chicago in Naperville, the fastest growing community in Illinois. There are 128 one-bedroom and 36 two-bedroom apartments. Amenities include an outdoor swimming pool and a tennis court. Acquired in 2002.